American dentist Walter Palmer, who sparked an international outcry after killing Cecil the lion in Zimbabwe, will not be prosecuted because he had obtained the legal authority to hunt, officials say. Walter Palmer, 55, admitted to killing Cecil in July but has always denied that he acted illegally. Zimbabwe’s Environment Minister Oppah Muchinguri said Walter Palmer could not be charged as all his “papers were in order”. Oppah Muchinguri said Zimbabwe would now review how it issues hunting licenses. The environment minister had previously called for Walter Palmer to be extradited and face prosecution. However, it appears that Walter Palmer broke no laws when he killed the lion using a bow and arrow. “We approached the police and then the Prosecutor General, and it turned out that [Walter] Palmer came to Zimbabwe because all the papers were in order,” Oppah Muchinguru said. 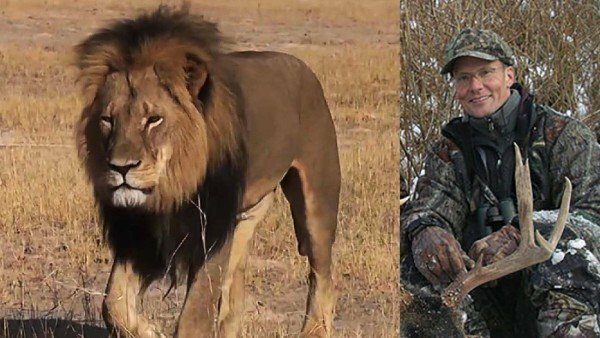 Meanwhile the trial against Walter Palmer’s Zimbabwean guide, Theo Bronkhurst, is due to continue on October 15. Theo Bronkhurst denies the charge of “failing to prevent an illegal hunt”. After his name was revealed by the press, Walter Palmer’s dentistry practice and home were targeted by protesters. He has now returned to work after a two-month break. Walter Palmer is believed to have paid $50,000 to hunt the lion in Zimbabwe’s largest game reserve.